A 'cup of tea' with milk, no doubt. And make that an Earl Grey. There are earlier reports of the LP allele in the Iberian Neolithic (Plantinga et al., 2012) and even earlier Middle Neolithic Sweden (Malmström et al., 2010). I’m mildly skeptical of these results because 1) They only estimate contamination from mtDNA, rather than the autosomes 2) rs4988235 is a C->T SNP where T is the derived allele, so aDNA damage could be an issue. So it seems that some revision of those samples would be needed to be certain about the results. In the evolution of species and speciation we find the origin of various species/subspecies to develop in the areas where the climate and the environment favor the specific speciation in question. That may take us to the areas between Vallonia and Pommerania, where the we find the (geologically) oldest and finest plains of morrains - and (thus) the most fertile fields suitable for intensive farming. Moreover, e may contemplate that the oldest discovery - so far - of burials of cattles and horses, next-door to human settlements - have been found in the temperate areas of Scania and Funen, dated 11.000 years old. To determine the evolution of milk-drinking and diary-production it's a definite requirement to start with the most plain and simple explanation to the ORIGIN of cattle-farming and lactose-persistance. Than we may see if such a location may meet the requirements of a possible origin of the language-group most clearly connected with dairies, ox-charts and horse-breeding. Consequently it is nessecary to check if a Pommerian/Danish origin can explain the branching of R1a/R1b - as well as the downstream of Rb1-269 and the connection between the beakers of Samara/Yamna, Carpatia/Kyros and the Atlantic Facade. The autosaomal of the mt-dna of Gökhem, clustering both Sardinians, Spaniards, Basques and Tuscans, seem to support the same area as the better origo to explain the autosomal connections between Samaria/Yamna and the Bell-bakers of Frisia, France and Spain. All the more so as the lactase-persistance seem to have it's area-of-origin in the vincinity of eneolithic Gokhem and Scania, where it STILL peaks, as the bulls-eye of the stats that shows the percentage of lactase-persistance in the world. The further away we move from Scania/Denmark/Holland the less the lactase persistance. But as per the Mathieson review, that doesn't necessarily mean the LP allele came from the steppe. Except there's a shitload of R1a-Z93 all over the Middle Bronze Age steppe, and now also the European LP allele. The origin of lactase-persistnce is debated, of course. Though - if you presume it came FROM Samara TO Gokhem - you're out on a limb. The only 'evidence' for this is the idea that Samara was older than Scania, in itself. Circulating the preumtion doesn't make it a valid argument. The LP allele is not located on the Y chromosome. The key should be to find ancient and present individuals that have 22018A (rs182549: "T" at 23andme), but not 13910T (rs4988235: "A" at 23andme). These have the ancestral allele. Is there any ancient DNA with this genotype? How do you explain the LP haplotype among Berbers and Fulani of NW Africa? Same SNP and surrounding haplotype background as Europeans yet no R1a there. Please note that the paleolithic-mesolithic transition - creating the famous bottleneck of the Eurasian genome - has its area of survival, from 12.900 - 12.100 BP, between the English Channel and the Western Baltics. Please note that the surviving population - dwelling around the northern estuaries of the Atlantic facade - ALREADY had a well developedboat-culture, able to cross oceans as well as large and lengthy river-systems. Such as the Baltic and the Onega-Volga, as well as the Dvina-Djepr and the Vistula-Bug, Svir and Donau. Not to mention the Elbe/Oder/Rhine-Rhone. Consequently, the first mesolithic populations could spread very rapidly - in less than 15 generations - along the milder part of Eurasia, i.e. the Atlantic facade, from Spain to North Cape (11.800 - 11.300 BP). A simultanious branching from the Ahrensburg-Swidrien culture went east; north-east as well as south-east and south - devloping connections, travels and trade of flint and amber along the baltic coasts to the river-systems of Wizla/Donau, Dvina/Djepr and Ladoga/Onega. From the latter one reach the Vologda/Volga river and the old, lush fields around the Caspian Sea. Today the first wheat and barley produced in England and Scotland is actualy 8.000- 8.500 years old. As of lately the pioneers of intensive agriculture have been found in the Gulf of Finland, as well - producing buckwheat and barley - no later than 7.300 years ago. Another evidence is the fact that the R1b-branches seem to have developed the larger cattles an horses, just south of the R1a-branches that spread into the cooler climate-zones and the boreal forest-zones - from mainland Scandianvia to the Tarim-bassin and the Alps, developing smaller cattles and the cold-blooded horses. Both seem to have spead out of the Baltics - 'leap-froging' into the fetile steppes and the higher elevations, respectively. Key-sites within this evolution have even brougth borth the cores and the outliers of R1a and R1b in close relationships - eventhough their patrilinear lines have been maintained. Thus we may even recognize the Scandiavian R1a as "swedes" (sved = slash-and-burn)and their cousins within R1b-tribe as "danes" or "germans" (goer/goed = fertilizer). Isn't this more evidence of a boomerang effect? "it seems plausible to me that the [European LP] allele first appeared in Central Europe, was spread around Europe by the LBK, before being introduced to the steppe later by migration from Europe." When he says "spread around Europe" does he mean the *frequency* of the allele expanded out from an epicenter in the Carpathian Basin or simply that the allele spread in all directions from there at the same low frequencies? 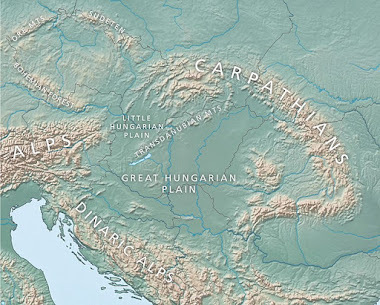 1) If the former then he'd be implying the modern distribution of LP is the result of an initial expansion from the Carpathian Basin radiating out in all directions followed by the initial frequency being *reduced* in a cline from the NE by the steppe invasion - in which case LP fixation in the west and north would be the result of regional survival rather than regional advantage. Is anyone suggesting that LP frequency was originally highest in Hungary, radiating out from there in there in all directions but only survived at those levels in the North and West? With LP at 90% in the North and West that seems like a hard sell. 2) is he saying that the LP allele spread out from the Carpathian basin at low frequencies including to the steppe and then came back from the steppe to the Atlantic coast with the R1b but the frequency of LP on the steppe declined later with the decline of R1b? So far the data related to the Yamnaya era doesn't fit Atlantic coast levels of LP frequency. So in either case wherever LP started it was around in low frequencies. 3) LP started wherever, could have been Sumeria or Mars - and the Carpathian Basin seems as good a spot as any - and spread all over (but in the same low frequencies) but only expanded dramatically in regions where it was adaptive at the time - duh - and in proportion to how adaptive it was in that region at that time - also duh. Where is LP near fixation? Where might LP be adaptive in the context of neolithic wheat farming? Regions with acidic soil like the Atlantic coast. Where is R1b near fixation? Does R1b seem indigenous to the Atlantic coast? Being debated but currently I'd personally say no. R1b came from the steppe either bringing LP at low frequencies or marrying into it along the way (and I'd agree the Carpathian basin is a good spot cos it's cattle country*) but either way when they (or at least the handful of families who had it) reached the Atlantic coast the frequency expanded dramatically because it was adaptive in that region at that time. "Alberto: I was wondering why this case was not closed long ago when by 3000 BC LP was found at 30% in a site in Iberia in this study (Plantinga et al. 2012):"
Dairying in Britain - cos too wet for wheat? A population who *relied* disproportionately on dairy as their staple because the standard neolithic package wasn't as productive in their region would act as an incubator for LP frequency regardless of where the gene originally came from. Perhaps it's time to check what the 7.500 year old R1a from Onega - at the crossroad between the Baltic and the Volga - has to do with the first farmers, carrying cattles and R1a into the lower realms of Volga. Moreover, it's time to check how the map of movements - describing the downstream mutations of R1a adn R1b - will look like, if their common origin and 'bifurication-area' should happen to be where the oldest traces of cattle-farming AND the oldest populations of milk-drinkers have been found. Looking for the waterways through which the spread of R1a/b could reach the green-fields in the wider fields and river-valleys around Uralian, the Caucasian, the Carpathian and the Atapuerchan mountains - some 5.000 years ago - we may even find the SW Baltic as a very logical area-of-origin. This clay-rich area of origin may even explain the common tradition of pottery - combining Pitted, Combed, Corded, Curved, Cardial and Linear decorations on beakers and sculptures. Thus we may connect it to how these various 'stylistic dialects' occured along the spread of the descendats of y-dna R and mt-dna H, to Norway and Carelia as well as to Baalberge, Euleu and Balaton. The leap-frog migrations - from one suitable area to the other - seemed to have followed the old routes of the early trade if flint-tools and amber-art - introducing lactase persistance and IE language to Bactria, Balkan and Iberia, just about simultaniously. You see when I see statements such as the one below, my red flag alarm goes off. When a scientist needs to ignore results that might otherwise present a challenge to their narrative, then the whole process becomes gray and murky. Let's for a second accept that his skepticism is a healthy one and not rooted in any personal narrative. Granted the results were only validated using mt-DNA contaminations estimates and the LTC gene is part of the nuclear genome. Here are a few caveats to think about, while the Basque Country is highly lactase tolerant and has a high presence of the LTC gene, the results obtained are highly divergent and completely off the Hardy-Weinberg equilibrium, in fact most Lactate persistent individuals were Homozygous for the mutation(i.e. TT) there was a singleton TC. This suggest as Maju has correctly observe the initial mixing of two distinct populations one lactose tolerant, one lactose intolerant. Also there have been plenty of studies done in Northern Europe using mt-DNA only as a contamination validation tool and none of them return a positive lactase tolerant result even though lactate tolerance is high in Northern Europe. Coincidently why would there only be aDNA damage on the Basque results and not the LBK, Early Neolithic NorthEastern European results that were tested using low resolution SNP testing and mt-DNA contamination validation. Don't get me wrong I agree that a healthy dose of skepticism is a good quality in postulating any hypothesis, but the doesn't seem like healthy skepticism but rather dismissal to fit a narrative. Here's what I think is behind Mathieson's logic. It's that the time in-between LP not existing till fixation in its present places is only 120 generations. Actually between the Early Bronze Age when we have an LP Beaker* and the Iron Age Celts is less than a hundred generations. Haak et al (I believe) being surprised of its relative absense concluded that current frequency must have undergone rapid selection since the metal age. Sorry, but zapping fruit flies with plutonium will not get these results in this number of generations. So Mathieson's is simple moving the goal posts back to their original position to gain time. There is one number that does work within a big triangle, Easren Taurus, Ararat, Central Zargos. LP makes sense when it is 10-13 thousand years old (the age of 13910T) and the steppe people must have relative frequency to their Middle Eastern foothill farmer ancestry. "Sorry, but zapping fruit flies with plutonium will not get these results in this number of generations." Well it would depend on the selection pressure. A giant famine where only LP people survived would do it in one generation. However none of that is necessary if it's a mixture of selection and founder effect (or even all founder effect for people who really hate the selection argument). *If* the neolithic package was less productive in the Atlantic coast bio-region (cos acidic soil and wheat) then that implies the population wasn't at its maximum potential. So it's not necessarily a case of population X has 100,000 people and 1% are LP so what is a plausible number of generations the LP frequency could get to 90%? If the first condition is correct then the case would be 1) selection for LP and 2) LP people moving onto terrain that was too marginal for the neolithic package. So for example population X has 50,000 people, 1% of whom are LP plus 50,000 people's worth of currently unused marginal terrain that would be viable for dairy focused LP people. In that case you might have 50,000 people on the originally marginal terrain who were 100% LP while the original population was still only 20% or 10% or even unchanged. In the latter case the total frequency over the whole population would have become 51% even if there had been no selection at all among the original source population. Sorry, didn't happen. Steady population growth and prosperity leading to the historical period. To the contrary, overpopulation became the problem in Northern Europe. Over who? Fishers, hunters, brewers and growers? Bronze Age diet was highly varied, everyone ate and drank. Why LP frequency in tropical Africa and not Northern China? Sunlight and vitamin D? Doesn't appear to be the case. My argument is simple. LP fixated in aa population long extinct that lived 6-9 thousand years ago from the Middle East, a population that contributed the the ancestry of other peoples. It's worth pointing out again that overpopulation in the world is largely among people who are not LP and/or in poverty. No reason to believe LP is increasing now or any time with the last several thousand years! Another possibility for the potential significance related to the areas you mentioned around Vallonia, Frisia, Denmark, Pomerania. *If* milk was the key factor along the Atlantic coast then if you look at the European bio-regions those areas you mention are at the northern extremity of the Atlantic region and on the border between the Atlantic and Continental regions i.e. the regions where you might expect cattle breeding to be most critical. Not saying it did. My point is there is no fixed minimum number of generations for selection. It depends how extreme the selection pressure is. "Steady population growth and prosperity leading to the historical period. To the contrary, overpopulation became the problem in Northern Europe." "The data tells a story of Stone Age (or Neolithic) farming economies suffering a crash around 4000 B.C. Some regions suffered population losses of 30 percent to 60 percent"
"Over who? Fishers, hunters, brewers and growers? Bronze Age diet was highly varied, everyone ate and drank." I know the LP thing bugs you for some reason but now you're being silly. And like I say selective advantage in this context doesn't even necessarily have to mean direct competition. If there was land that wasn't viable for the neolithic package - maybe in Ireland for example - but which was *just* viable with LP then there's the advantage - empty land. "My argument is simple. LP fixated in aa population long extinct that lived 6-9 thousand years ago from the Middle East, a population that contributed the the ancestry of other peoples." So selection works but only in aa people 6-9 thousand years ago? "It's worth pointing out again that overpopulation in the world is largely among people who are not LP and/or in poverty. No reason to believe LP is increasing now or any time with the last several thousand years!" Generally speaking animals produce less calories than crops so you'd only expect LP to have a selective advantage in a time and place where that is reversed like Arabia for example. I was already indicating that R1a have a "boreal" adaption. We better add "alpine" too. As far as I have seen R1b seems to predominate the "atlantic" and "continental" climate-zones. In Scandianvian archaology the terms are "European" vs. "Scandianvian". The boder between them is recognized quite exactly where the 'atlantic' and the 'boreal' zones meet - as the Scanian lowlands meet the higher elevations of boreal Sweden. A similar divide can be found - as mentioned - east and west of Wizla, as well as around the higher mountain-ranges of western and north-eastern Eurasia. Moreover, it may seem that the boreal-alpine agriculture have an older predescessor, as it combines cattles with the older husbandry of goats and sheep - found amongst Pitted and Pitted-Combware Ceramics. That all fits pretty well with the present distinction made between farmers - as sheep-farmers and 'highlanders' or 'islanders' - versus the atlantic-continental 'lowlanders' and with large fields, large farms and consequent breds. Thus it seems to be the Rb1-group that are the main carrier of the lactase-persistance connected to cows milk - rather than goats milk. Thus it's worth mentioning that affinity to goats milk is a bit higher in most populations - not the least around the Mediterranean. Loooking into the lactose-persistance among the African agriculturalists it's obviously activated by another - and younger - subset of genetic markers. of at least 170 individual interments. An analysis of mortuary patterning, demographic structure, and regional interaction was performed in order to elucidate the nature of Boreal zone forager society during the late Mesolithic. These analyses suggest that the society which produced Oleneostrovski mogilnik was larger and more internally differentiated than previously believed, with a complex system of social differentiation that included hereditary social positions and economic ranking. It also participated in an extensive regional exchange network which moved exotic goods and raw materials over considerable distances. It is concluded that the climax of forager occupation in the Boreal zone occurred during late Mesolithic times, with a maximum density of population and maximum social complexity, and that more recent hunter-fisher-gatherer occupations represent only a pale reflection of this peak. As you all know there was three occupants of "South Deer Island" belonging to mt-dna C-1f. Others were U4, U4a U2e, U5a , J and H - while two y-dna came out with R1a1 and J. Hey David weren't you telling me awhile ago that Motala didn't show any Siberian admixture? Looks like Ajvide did too. and weak affinity with Eastern Siberians. ancient gene flows from Siberia into Eastern Europe. vast expanses of Siberia and reach Eastern Europe, where they likely admixed with indigenous Europeans. If you mean bottleneck at the end of the Neolithic, OK, I'll by that but it appears to be a trait mostly brought by foreingers at that point anyway. From EBA forward, wealth and health most of the time. "Loooking into the lactose-persistance among the African agriculturalists it's obviously activated by another - and younger - subset of genetic markers." There are plenty of people in Africa with R1b and the "european" LCT allele. Their haplotypes appear to be quite old, not recently imported. Yes, Eastern European and Scandinavian hunter-gatherers have Ancient North Eurasian (ANE) ancestry from Siberia. Western European hunter-gatherers also appear to have some of this ancestry, but that depends on the models used. Seems like you're confused, yet again. Try and be less confused in the future. Like Arabia, the Sahel would be another example of a region where animals can produce more calories than crops. Sorry David, what you told me specifically was that the EHG in SHG could not have come from an N1c type population as these populations contain recent "Siberian" admixture which EHG/SHG do not have, and that this admixture along with N1c came at a later date. This paper explicitly refutes that. ancient gene flows from Siberia into Eastern Europe." But regardless I'm sure you'll have an interesting write up on this paper soon anyway. Maybe something to address? I'd be interested to hear your opinion on why this is wrong. I think the problem here is the naming and the asumptions about these names. Modern Sibirians have ANE (highest in the west) and ENA (highest in southeast). I recall that David said, that the scandinavian Hunter Gatherers had ANE but not ENA. His asumption of the origin of ANE back then was: Eastern Europe. Means, he asumed that ANE in Sibirians reflects mesolithic European admixture in Sibiria, while Sibirian proper is ENA not ANE. I also recall that few years ago, beforfe ANE was invented, all the ANE in Europeans was asumed to be "northeast Asian" or even "Amerindian", coming up with stuff like Scotts possessing 10% or more Sibirian admixture. I have not read the paper except for that quote but I asume that it wants to make a connection between pre-IE ANE in Eastern Europe and the Y-DNA "N" and asumes an Asian Origin of "N". Then.... it doesnt name it "ANE" but "West Sibirian admixture". There's around 1% R1a1a(xZ93, Z282) in Volga Ural. There's also a good amount of R1a-Z93 and R1b-Z2103. In modern Y DNA Volga Ural is either ignored or assumed to be just like East Europe. Europe was at the receiving end of Bronze age R1 expansions just as South Asia was. You're can't expect to find evidence of European Bronze age R1 expansions in basically all of Europe except Non-Slavic people of Russia and maybe also Slavic Russians. "Siberians share 38% of ancestry with descendants of the 45,000-year-old Ust-Ishim people, who were previously believed to have no modern-day descendants. Western Siberians trace 57% of their ancestry to the Ancient North Eurasians, represented by the 24,000-year-old Siberian Malta boy. In addition, Siberians admixtures are present in lineages represented by Eastern European hunter-gatherers from Samara, Karelia, Hungary and Sweden (from 8,000-6,600 years ago), as well as Yamnaya culture people (5,300-4,700 years ago) and modern-day northeastern Europeans." "There are plenty of people in Africa with R1b and the "european" LCT allele. Their haplotypes appear to be quite old, not recently imported." Plenty of the African R-line, obviously. But CT-13910 - rather than CT-13915 or CT-14010 - was news to me. There's been some years since Tischof et al, of course. It's a bit puzzling thogh that the present wiki-article on LP haven't taken note of this informarion. Perhaps you could provide a source of this new insigths? "Siberians share 38% of ancestry with descendants of the 45,000-year-old Ust-Ishim people, who were previously believed to have no modern-day descendants." Again 50-50, in terms of true and false. The Ust-Istim didn't produce any descendants to survive ice-time - since ALL the populations of northern AND wester Eurasia died out - due to the LGM and the Dryas-periods. The effect of the cold-waves were first effective - during LGM - in the eastern half of the northern continent. Thus the eastern steppes became arid tundra - decimating both mammoths and human. Thus the Malta-boy was the last of his kind. Thus ALL the famous sites from paleolithic Eurasia disapears during LGM - from Siberia to Central Europe, as seals and pinguins roam the Adriatic Sea. The only place were we find mammoths and men after LGM are some scarce remnants along the Atlantic facade and the SW Baltics - of the post-Solutreans, called Magdaliens or Hamburgians, according to location. At the end of LGM they are found at the northern shores of the Meds, too - some carrying the first known mt-dna H. Otherwise they were mt-dna U, V and T, AFAIK. During the two next - and final - cold-waves the very last mamoths, elks, cave-bears and grand deers died out from the Occidental Eurasia, too. The last mammoths died at the onset of Younger Dryas - 13.000 years ago - at the northern shores of western Europe, such as Estonia, Denmark and England. By this time the arid tundra and taiga reached all the way from Himalaya to the Pyrnenees. NO populations in sigth - except from some Feddermesser-knappers, hauling around the flint-mines of the Danish archipelago. This last core of the old Eurasian paleolithoic obviously had a common ancestor with Ust-istim and Malta, as well as Kostenki, Sungir, Dolni, Paglicci and Atapuerca. What the sequencing of Ust-Istim, Malta and Kostenki taugth us was that the paleolithioc Eurasians belonged to one and the same population - from which a core survived to form the new Eurasians - known as the Caudcaisans - and their consequent branches, after ice-time. Thus northern Eurasia got re-populated by the descendants of their common stem - that obviously survived the ice-age cataclysms. From a y-dna perspective it seems obvious that hg F were among the survivors, perhaps as Pater Familias, able to reproduce new lines of y-dna G,H,I,J,K - and thus MNOPQRS. Thus we may say that Ust-Ishim, malta and Kostenki had a common origin - that they came to share, through their western cousins that survived - with the NEW arctic populations that came to populate Eurasia. Thus we got 'Caucasians' with paleolithic roots - that via their western ancestors share origin with the paleolithic Eurasians. Though, the specific outliers of Ust-Ishim, Kostenki and Malta were o-b-v-i-o_s-l-y not part of that re-population. "Western Siberians trace 57% of their ancestry to the Ancient North Eurasians, represented by the 24,000-year-old Siberian Malta boy." Western Eurasians and the Malta-boy had common ancestors. Thus the overlap. Doesn't mean the genes of the Malta-boy is 'Siberian', but "paleolithic Eurasian". Though - he's just one limb of the "basal", paleolithic Eurasian, just as his cousins called Gravettians, Cro-Magnons and Magdaleniens. Using a percentage of the Malta-boy to create a "Siberian" marker is senseless, thogh - since there are NO Siberians left descending from him or his specific family-branch. "In addition, Siberians admixtures are present in lineages represented by Eastern European hunter-gatherers from Samara, Karelia, Hungary and Sweden (from 8,000-6,600 years ago), as well as Yamnaya culture people (5,300-4,700 years ago) and modern-day northeastern Europeans." No wonder - since they ALL are descendants from a comon ancestor that came out of the core of the paleolithic Eurasians. Ranciaro et al 2014, “Genetic Origins of Lactase Persistence and the Spread of Pastoralism in Africa” is a good recent source. T-13910 is found in Fulani from Cameroon, Bulala (from Chad), Baggara (Sahel Arabs), and Mozabite Berbers. The Mozabite haplotype background is Middle Eastern type, while the Fulani and Bulala are European type. But you state "What the sequencing of Ust-Istim, Malta and Kostenki taugth us was that the paleolithioc Eurasians belonged to one and the same population - from which a core survived to form the new Eurasians - known as the Caudcaisans - and their consequent branches, after ice-time. Thus northern Eurasia got re-populated by the descendants of their common stem - that obviously survived the ice-age cataclysms"
Are you stating these post-glacial "Caudcasians" are a clade from which all post-glacial north Eurasian groups descend ? If so, I'd have to disagree, because Europe was repopulated from separate refugial pockets within Europe, not from a "core" Eurasian population from elsewhere. Both the Middle Eastern and the European haplotypes are found in Berbers/NW Africans, Mozabites having kept only one of them I guess. I for instance have the "European" haplotype at T-13910, not the Middle Eastern one (I am Berber, just not Mozabite). There doesn't seem to be any clear recent steppes-related ancestry in Berbers and Y-dna haplogroup R1b is not very common (could be due to E-M81 taking over and replacing almost all other male lineages). And when R1b is found, it is usually R1b-M269 and only rarely R1b-V88 (ignoring Siwa berberophones, they are a completely different population from Berbers it seems). Early European farmers carried minor frequencies of R1b-V88. So it's possible that the European-specific LP allele spread from Neolithic Anatolia to Europe and Africa with V88, and then from Europe to the steppe, and finally to India with R1a-Z93. Tx for clarifications. This proves that the LP have occurd in Africa at three different occassions; wherof the last have contributed the European LCT. Seemingly the oldest came via the Nile to Ethiopia some 7.000 years ago, to become the East-African modal. The two others seem to be of a later date, present in central and North-Africa. Probably these farmers have been using the same inroad to Africa. "Ancient Ethiopian genome reveals extensive Eurasian admixture throughout the African continent"
Anyhow it's clear that the LCT have developed somewhat indepentantly in NW Europe and NE Africa respectively. Which makes the lack of this genetical stamps in the farmers of Anatolian and Balkan somewhat curious, to say the least. That may imply that the entire concept of cattlebreeding came to Africa with boats, from say Sardinia, Sicily and/or Crete - as part of the first Hellenistic culture, known as the 'Minoan'. "Are you stating these post-glacial "Caudcasians" are a clade from which all post-glacial north Eurasian groups descend ? If so, I'd have to disagree, because Europe was repopulated from separate refugial pockets within Europe, not from a "core" Eurasian population from elsewhere." How do you know? What pockets were they - and where are the proofs thereof? What I have been communicating on this blog is the mere fact that we DO have an unbroken time-line; from before LGM to the start of Holocene - that is valid, due to a successive series of chronological discoveries and dates, from hands-on archaeology. This unbroken timeline is NOT found in the Caucasus, Anatolia or Ukraine, Greece or Balkan, Italy or Spain, Ireland or England. In all of these places you find populations during the Eem interglacial, as well as during the next 90.000 years. Around 25.000 years ago the climate started dropping remarkably, though, which led to a strong decimation of the human populations - especially from the north-eastern part of Euraisa and around the higher mountain-ranges - where the coldness was worst. The hardest times where between 21-18.000 yrs BP when an extinction of lager animals took place. Then we had two shorter, but even worse cold-periods that brougth the last mamoths AND known communities of humans to extinction - in ALL the regions mentioned above. Thus you have to come up with a provenb record of ONE population to explain the origin of the Caucasian human beings - able to re-populate the Northern continent AFTER ice-time. As I have repeated already - theere are NO such time-lines existing, bewteen the Aurignac/Gravettien and the Epi-Gravettien/Mesolithic - except from ONE, that leads via the Cro-magnon/Solutrean/Hamburg to Ahrensbuirg and Swidrien. Vi the discvovreies of human tools and remains dated to 12.900, 12,700, 12.500 and 12.200 before present - ALL in the very same region. There are no other such region - from where ALL the first mesolithic populations in wetsern AND northern Eurasia can be connected to. Whatever you may think, speculate or read about it, from old hypos based on mere assumptions, "highest probability" and "common sense". Unfortunately it seems that this is an unpleasant topic-matter to a lot of people. But the current facts need to be handled for what they are - and not for what they could have been og should have been. Thus the main queation remains; do we go by ALL the facts we have - or do we mold the ones that fits us best into the hype we already know - as "the most prominent theory"? Given this landscape of northern Eurasia - as of 21-17.000 years ago, 15-14.000 AND 13-12.000 years ago - where would you expect any human being to survive the last 10.000 years of the paleolithic? Given the world map of LGM - where else could other populations of refugees have (possibilly) been living? Since the production of these maps a number of geological and paleo-biological results have revealed that the western shores of Scanianvia were ice-free during the late Weichselian. Consequently we have to correct the old maps, still present in all to many standard books describing ice-time. it's always struck me that if eskimo can live on ice sheets and get food from the ocean then why couldn't people on the Atlantic edge of Europe. this population you are talking about living in an ice-free zone, would they fit the current model as WHG, SHG, EHG? Iain Mathieson: "it seems plausible to me that the [European LP] allele first appeared in Central Europe, was spread around Europe by the LBK"
"We didn’t find any evidence for LP in early farming populations like the LBK"
"So it's possible that the European-specific LP allele spread from Neolithic Anatolia to Europe and Africa with V88, and then from Europe to the steppe, and finally to India with R1a-Z93." This explains a lot, but of course the details should be very interesing. North Africa is always getting neglected. It is basically another harder to get to part of Europe. @ karl_k - the least-derived haplotype containing 13910*T is in Sudanese Fulani. However the least derived haplotype containing both 13910*T and 22018*A in linkage disequilibrium (the European LP haplotype) turns up in Iranians (with Levantine, Maghreb, and NW Euro populations not far behind). So my take on it is that 13910*T appears in Africa initially, then there is migration into west Asia where the European haplotype emerges, before migrating to Europe and undergoing selection (and also partially back-migrating into Africa). Or additionally some migration from north Africa directly into Iberia. the old theory - which was reasonable enough before the data came in - was the farmers brought LP with them and the frequency increased gradually in a cline going from SE to NW. that theory was killed by the data. it seems people are going through the process of mourning the old theory - which seems to be a general thing. eventually they're going to have to give in - wherever LP started the frequency *clearly* went through the roof in north and west Europe - so reason? probably just calories (like Arabia and Sahel) or it would have spread more dramatically into southern Europe. So how do this co-relate to the known distribution of the (european) LP allele - as in the linked mapped above? How does the LP do in Anatolia versus the SW Baltics? In which of these areas do we find the oldest known cows and horses in burials?